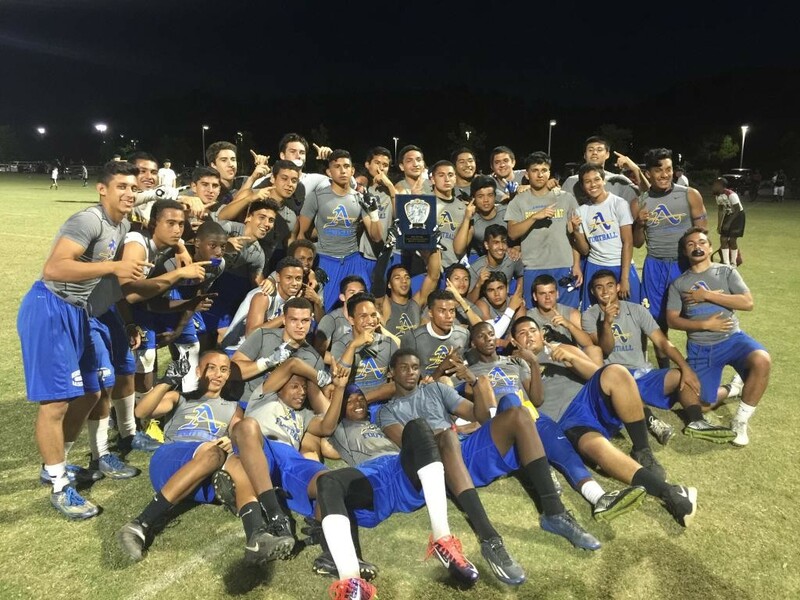 Bishop Amat defeated Mission League rival Alemany in the championship game to win the Saugus Tournament on Saturday. The Lancers have won the first two passing tournaments they’ve played in spring/summer, but that’s what happens when you’ve got two freaks like Tyler Vaughns and Trevon Sidney. No MAS says Alemany…… Tap tap tap…. We all knew the passing game wouldn’t be a problem.. What’s going on with the running game? Any new updates to report? Sweet = still not with team. That is terrible… why are they toying with this kid’s future? What if he were to leave? This doesn’t sound right. Sweet should leave, sit out the 5 games and possibly get some playoff film , go on to school and leave BA in the rear view. Right now BA coaches are having this young man seen as a problem kid. Nothing could be further from the truth. This is a good kid and what is rumored to be “the crime” does not warrant the punishment. I find interesting that some kids get a game or two suspension , and “others” get kicked off the team. This staff should come clean about the issue and free this kid up one way or the other. Certain players don’t even get suspensions. It seems as though punishments are determined at Amat with skill and importance to the team team in mind, which is sad for those who aren’t all stars there. Sorry if it wasn’t clear, I was just making a general observation about a few things I have seen heard, sorry about that. Would really like to know about this though since the action hasn’t been bad enough for an expulsion. You might be right. It’s a shame because from what I see, the team needs him. Their season turned around when they started giving him the ball last year and I don’t know of any rb that they have ready to step up and do what he does. Who’s the child here? I’ve heard that others have done a lot worse and weren’t disciplined near as tough. Haven’t had a chance to see the team but who’s filling in at RB ???? Someone must be lining up in the backfield at these contests . I did not go to the last tournament . But at the CO tournament . It was Brandon Cummings , Andrew Perez and I believe the freshman running back . Tyler was playing receiver . I’ll go with what you said. It seems that the WR’s are getting most of the buzz at Amat. Are the QB’s getting any offers?